Spending just 15 minutes a day on doing the 7 most important exercises of the Kadochnikov System designed to develop one’s flexibility and pliability can substitute for a whole workout. then this step-by-step guidance will be that “wonderful recipe” that you’ve been looking so long for. We won’t talk about those primitive exercises or stretching which you can do without even thinking while expecting immediate results. The relatively simple exercises and the methods of their application, which we want you to learn in this video course will require from you more intellectual efforts than physical. But of course you will also have to make your body work. We think you’ve never met a person who acquired some solid skills just by sitting on a sofa the whole day and watching TV. First of all, we’d like to say that this video course has nothing in common with those training courses that you’ve seen before. There is no theory in it. 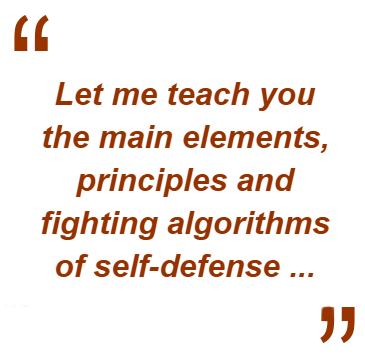 There are only practice proved methods of teaching the 7 most important exercises of the Kadochnikov System designed to develop one’s flexibility and pliability. They can be practiced at any age because they don’t require heavy physical loads and tension. This course is so compact that you’ll be able to learn it in a couple of hours. You’ll quickly understand (and more than likely you’ll be amazed!) by the simplicity of this wonderful method which has helped hundreds of people just like you to quickly improve one’s physique. A skill that you’ll acquire is definitely something more than just an exercise. The Kadochnikov System regards a human body as a whole system. hat’s why every move is made with a whole body, no matter whether you strike a blow or do an exercise. We offer you this fantastic offer just for $27 just to show you how useful it is. A step-by-step video training program “The secrets of one’s body masterful control. The 7 most important exercises of the Kadochnikov System designed to develop one’s flexibility and pliability at any age”. YES! I’d like to master the most efficient blows of the Kadochnikov Style without exhausting physical loads. I’ll receive a homestudy course which consists of 3 instructional videofilms “The secrets of one’s body masterful control. The 7 most important exercises of the Kadochnikov System designed to develop one’s flexibility and pliability at any age”, filmed in high quality using professional equipment. We’re Offering You The Online Step-by-step Guidance “The secrets of one’s body masterful control. The seven most important exercises of the Kadochnikov System designed to develop one’s flexibility and pliability at any age”, which can substitute for an entire workout by spending just 15 minutes a day.